Green and environmentally friendly, these insert, enclosure cards & response cards are an event must-have. 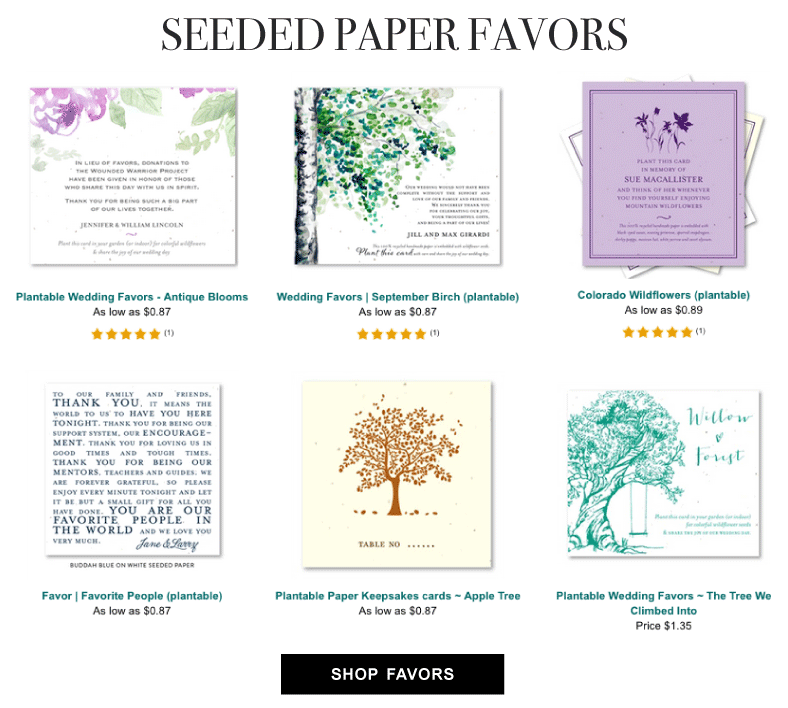 Our unique, easily personalized wedding RSVP cards are available in our Plantable Seeded paper Collection, Recycled paper collection to provide details about your ceremony. Directions cards are also available keeping your guests updated on accommodations, activities or any other information not included on your wedding invitations.  We do encourage our brides to use online solution for extra information - not contained in their invitations! Reduce Reuse Recycle. Always! all our response / insert cards are available in either seeded paper or 100% recycled paper. any design on the website has a matching response cards / insert or direction cards.